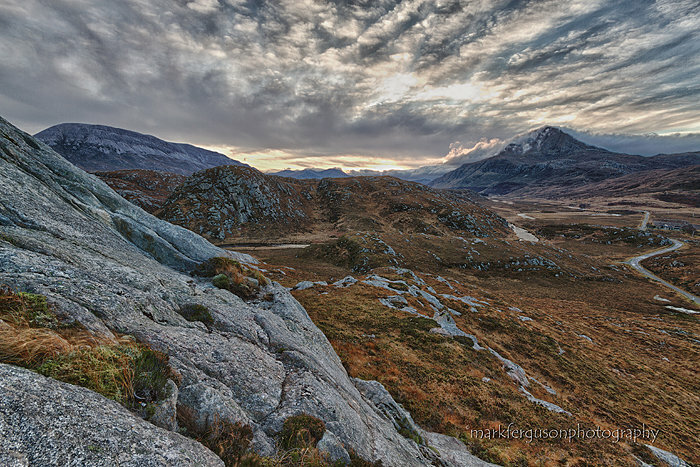 Rocky rugged landscape of Sutherland. Mountains Arkle and Ben Stack can be seen in the distance. On the right is the single track road from Laxford Bridge to Lairg.